Pack of 10 Fusion Mk2 chrome landing balusters / spindles by Richard Burbidge. All-metal construction. The brackets are manufactured from durable zinc alloy with a chrome finish, and include a single fixing hole to attach to your baserail and handrail. 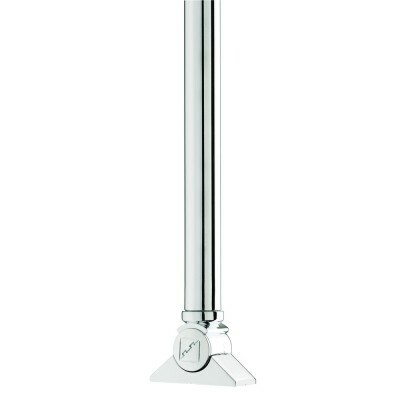 The spindle tubes are made from 19mm diameter stainless steel and plated with chrome. These baluster sizes are designed for use in the UK. Overall length: 834mm. Tubes can be cut down to size if necessary.